Be sure to take time to enjoy the blessings in your life on this Thanksgiving holiday. T he world will keep spinning without our business devotion, so invest your day with friends and family. Take a moment this Thanksgiving holiday to leave your trials and tribulations behind and reflect upon all of your blessings. We have a lot to be thankful for living in the greatest country on earth, with all of its blemishes, and for our families and friends who nourish our lives. Enjoy each others’ company … catch a little Detroit Lions football (a feature of my childhood Thanksgivings in Michigan) … or watch Santa arrive in the Macy’s day parade. But don’t let the moment pass by without loving the ones you love and who love you and enjoying and embracing the blessings that fulfill our lives. If you do not celebrate the American Thanksgiving holiday, I hope you will still take a moment to give thanks for your family, friends and all of the good things in your life. We also send our prayers and support to the people of Paris and other civilized nations who suffer the ruthless indignities of terrorism. May they find the strength to persevere and the commitment to remain steadfast in their common cause against those who hold no respect for the lives of innocent civilians. I offer my special thanks today to everyone who contributes to the blessings and favor that grace my life and extend best wishes to you for a restful and bounteous Thanksgiving holiday with your families and friends. 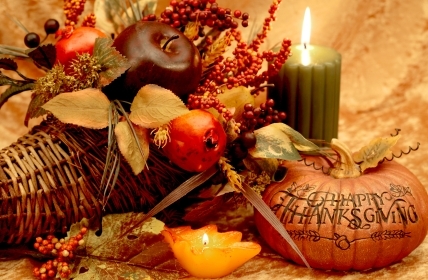 Make it a fabulous Thanksgiving holiday! This may be what’s keeping you from completing your 2016 plan.